For more information please kindly feel free to contact us! Airplanes can earn money only when they are actually in the air. That’s why airlines try to reduce their aircraft ground times to a minimum and airports try to move their passengers either to the departure gate or, after landing, from the plane to the baggage claim area as quickly as possible. Additionally, the processing capacity of most terminals is limited. Therefore, expanding airports world wide have developed the concept of OffGate Aircraft Parking. It’s our aim to guarantee the most economical method of passenger movement to these remote aircraft parking positions with their associated brief turn-arounds with the XINFA. The result is that the shortest possible aircraft ground times are achieved and the airports’ facilities are used to maximum, optimizing their capacities. 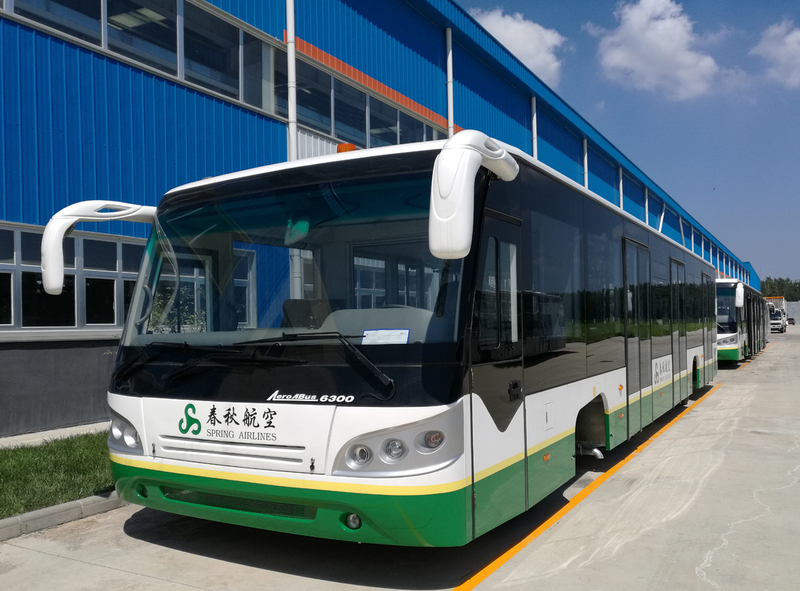 The XINFA Airport People Moving Bus was designed specifically to move large groups of airline passengers over relatively short distances. With this objective in mind, certain unique features were incorporated into the design of the vehicle: extra large passenger doors permitting two people to pass through the doors at the same time; multiple sets of doors providing rapid unloading and loading; doors on both sides of the bus eliminating extra maneuvering by the driver to always arrive at the “curb side” of the bus; a kneeling feature bringing the step-in height to only eleven inches; an exhaust system that automatically diverts the engine exhaust to the opposite side of the bus from the open passenger doors; and many other special features.